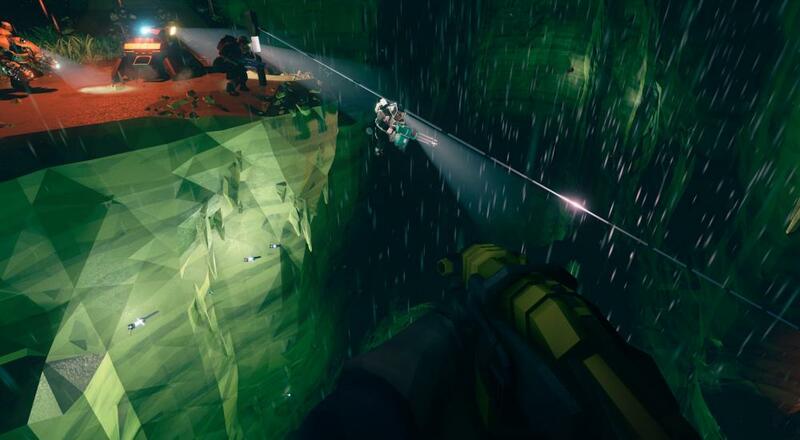 Ghost Ship Games' Deep Rock Galactic has officially made it into Early Access (or Game Preview if you're Microsoft) and we figured we should hop back into it to see how things have progressed since its Alpha. Things are definitely harder and the progression has been flushed out, but for those thinking is just another "Left 4 Dead style FPS" game... I think there's more to it than what's on the surface. Being an Early Access title, there's still lots of time for Ghost Ship to put in even more work and make some changes, both big and small, but the biggest distinction to make between Deep Rock, Left 4 Dead, and Vermintide is the pacing. Left 4 Dead and Vermintide were all about pushing forward through a level and managing resources (like ammo and health), but it felt like there was more of an emphasis on the forward momentum aspect as you wanted to engage with the special enemies and hordes in particular/ideal spots. While there is a push to exploring the caverns in Deep Rock, resource management feels like it's in the driver's seat. There are no ammo refills just laying about (you have to call for a resupply, which requires spending a certain amount of minerals you have to first find and mine), and health can only be regained from certain crystal clusters. Lighting is limited and it's all too easy to walk past something you need, so when you first enter a new spacious area, it is absolutely worth taking the time to fully explore it before moving on. What's more, as an individual and as a team, you have to decide how to handle the insect foes that swarm you. Do you melee the little ones you'll occasionally come across and save your bullets for the bigger baddies? Do you only use your pistol until dire situations require heavier firepower? Do the players' "roles" (i.e., Gunner, Engineer, etc) factor into what they "should" be doing when things start going sideways? I think the shift to a focus on the "resource management" side of the spectrum allows the game to explore these areas a little more than similar titles out there, and I'll be curious to see how things continue to develop and the player-base discovers tricks. Deep Rock Galactic is available via Steam Early Access, or through the Microsoft Store for Windows 10 and Xbox One as part of the Games Preview program (it's also part of the Xbox Play Anywhere program). Four player online co-op is supported throughout.